Today I wan't so share a makeup with you using Makeupgeek eyeshadow's. 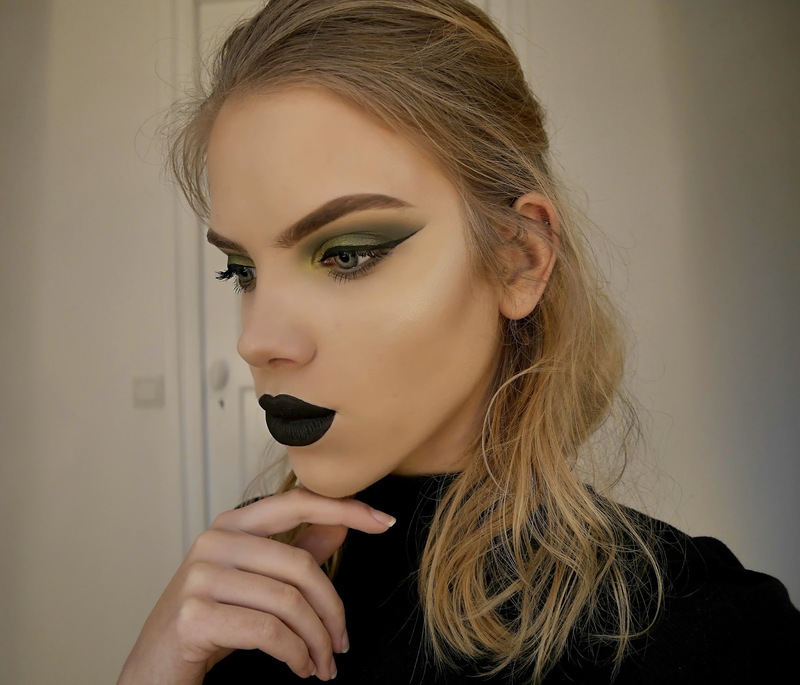 I have the ultimate pallet from Makeupgeek and I am planning to do more looks like this so I can show you all the shadow's. I have used the color's : Beaches and Cream, Dirty Martiny, Pixydust, Typhoon and Envy. Beaches and Cream : This is a perfect transition color. 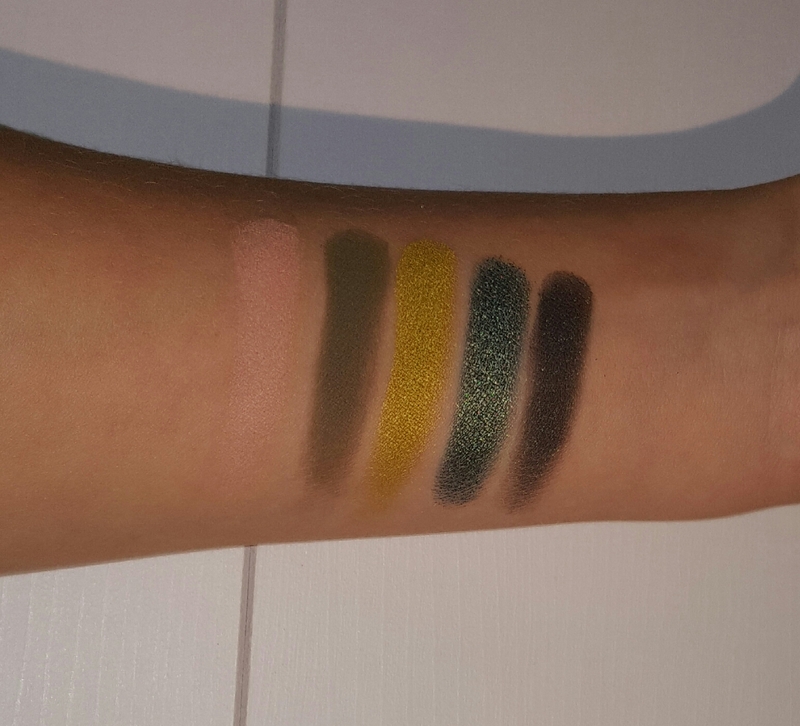 It is nice and pigmented but very easy to blend. This is a Matte color. 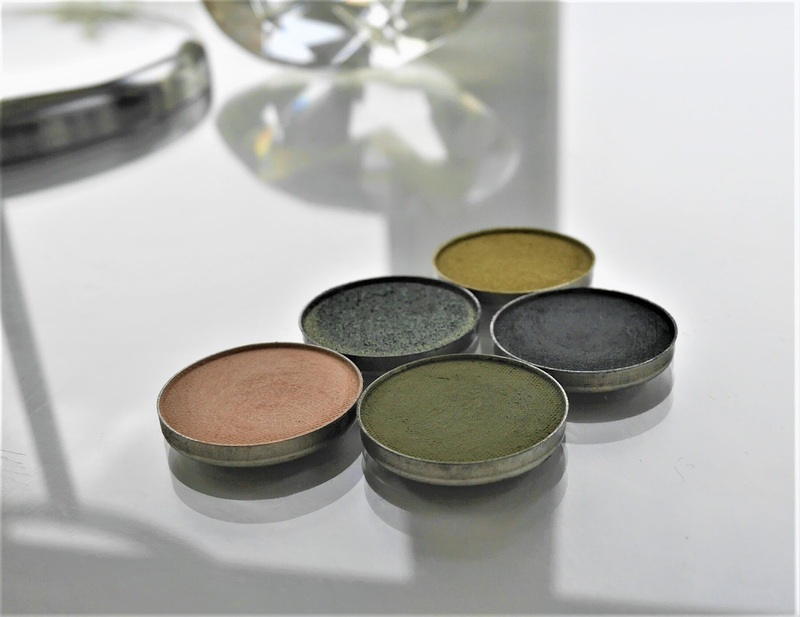 Dirty Martiny : This is a dirty green is has a nice pigment and blends really nice. This is a Matte color. Pixydust : This is a bright light green color. This is a shimmery color. Typhoon : This is a dark green color. This is a shimmery color. Envy : This is a very very dark green it is almost black. This color is shimmery. 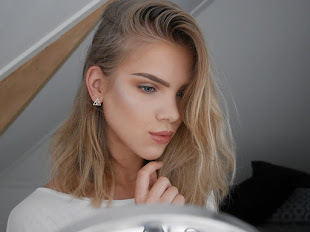 Let's begin with this look! Here I don't have any makeup on. I have cleaned my face used my Loréal Paris Pure Clay Masks and used my moisturizer al over my face and eyes. Then I did my eyebrow's in with my Colourpop Brow Pot and Brow Pencil. Than I applied my sticky tape at the outer corners of my eye. I cleaned my eyebrow's up with my Catrice Liquid Camouflage High Coverage Concealer and primed my eyes with the concealer. Than I set the concealer with translucent powder. And then I plied Beaches and Cream in my upper crease area as my transition color. 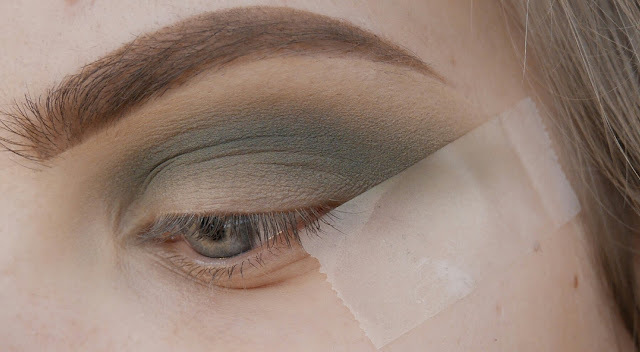 Then I blend the Dirty Martiny color in my crease and start with a small amount and build it till it is the color that I like. Then I blend the edges with the Beaches and Cream color so there are no hard lines. Then I applied the shade Pixydust in the inner third of my eyelid. I applied the Typhoon shade at the second third of my eye and I make sure that I blend it with the Pixydust shadow. Then I applied the Envy color on my outercorner. I blended it out with a little of the Dirty Martiny shade so there are no hard lines. Then I applied a winged liner with my NYC black liquid liner. And then at the end I applied my Estée Lauder Suptuous Extreme Lash Multiplying Volume Marcara.. In my head when I make a bold eye look I have to go bold or go home. So I applied my Catrice gel liner to make my lips black and I really like the overall look. The shadow's blend really nice and have an amazing pigment! I think everybody would love this shadow's! You can buy the shadow's from : Makeuogeek and the shadow's are 6 US dollars apiece.